A sharp, occasionally shocking, memoir that will change how you look at teenage mothers, The Girl Who Couldn’t Say No is told with frank South African humour and refreshingly mature insight. 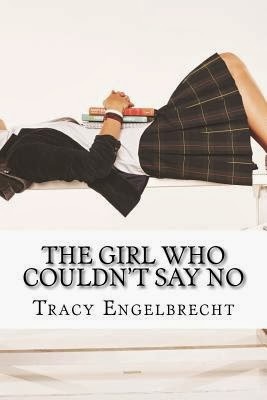 Tracy Engelbrecht tells the story of how she came to find herself pregnant at 15, and how she coped with pregnancy, birth and homework. An eye-opener for teens and their parents alike, as well as a message of hope, empathy and respect for those who have experienced a teenage pregnancy. No M-TV teen moms, no sugar-coating, no horror stories - just honesty, humility, humour and love. Real life. I loved this book! It's been on my reading list for a while now ... and I finally got hold of it and read it. It is a bit like reading a blog. It's written in a very conversational, colloquial style, which I adore. And being South African is even better :) It was more like reading a blog for me, I guess, because (afaik) she went to our sister-school and was only a few years ahead of me. And although I don't remember hearing about it at the time, the other later link is that I went to primary school with her daughter's daddy. So it feels a bit like the personal connection you feel with someone via their blog, if that makes sense. Completely enjoyed this and regardless of your age, I think it makes for great reading. Especially if you enjoy reading my kind of blogs.